If Fiji is on your hot list of honeymoon locations, or maybe even on your bucket list, we recommend that you consider moving it to the top when considering all of the benefits associated with one of the most romantic destinations that is still unspoiled by growth in tourism. Our Fiji Honeymoon Blog highlights this lovely nation is serviced with non stop flights via Los Angeles with Fiji Airways nearly every day of the week. There are several Fiji Honeymoon resorts worth considering, some are adult only and all inclusive as well. One of our favorites, with 100% top reviews continues to be Qamea Resort & Spa. This lovely adult only resort offers meal inclusive rates starting at $3710 per person for 7 nights from Los Angeles. All accommodations at Qamea Resort & Spa are private beachfront stand alone cottages, equipped luxuriously with king sized beds, outdoor showers and verandas equipped with hammocks. This resort remains one of the best values in Fiji for those seeking the perfect Fiji honeymoon. Another lovely spot is Namale Resort & Spa, which was home of the hit television show “The Bachelorette”. 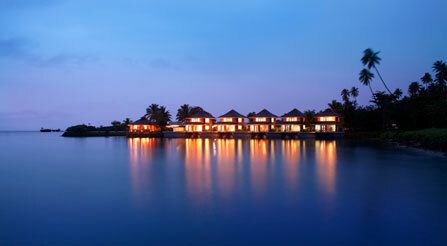 Namale Resort & Spa has won many awards. It is a completely all-inclusive resort which means that not only are your meals and beverages included, but also nearly all activities. All inclusive packages start at $4472 per person from Los Angeles for a 7 night stay. Ask us about Moonlight Magic! Koro Sun Resort is lovely Fiji Honeymoon Resort for those seeking excellent value, service and outstanding accommodations! 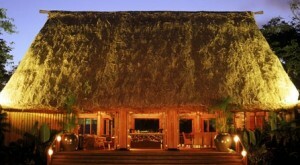 Garden Bure meal inclusive packages start at $2604 per person from Los Angeles for a 7 night stay. Their new Floating Bures are a first in Fiji and quite popular. Reviews from our returning Honeymooners are over the top – with every couple coming home after having found a piece of heaven! Be sure to ask about Koro Sun’s Passion Under the Palms package! This is a small sampling of some of the Fiji Honeymoons that we love to recommend. We are happy customize your quotation – just fill out our quote request form and you will be on your way! Remarkable Honeymoons is very happy to be affiliated with World Travel in Portland, OR. Through this affiliation we are partnered with Virtuoso, a luxury travel consortium that ensures all of our clients receive the best of care. Call us (Toll free 1.866.614.1803) or request a quotation if we can be of assistance to you in the planning process. We enjoy what we do and look forward to the experience with you. © 2019 Remarkable Honeymoons. All rights reserved.